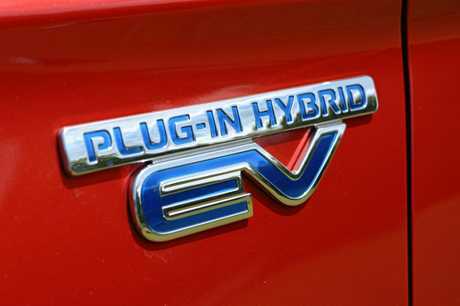 2017 Mitsubishi Outlander PHEV plug in hybrid. Picture: Supplied. EARLY adoption of an electric-powered future is one fraught with scepticism and trepidation. 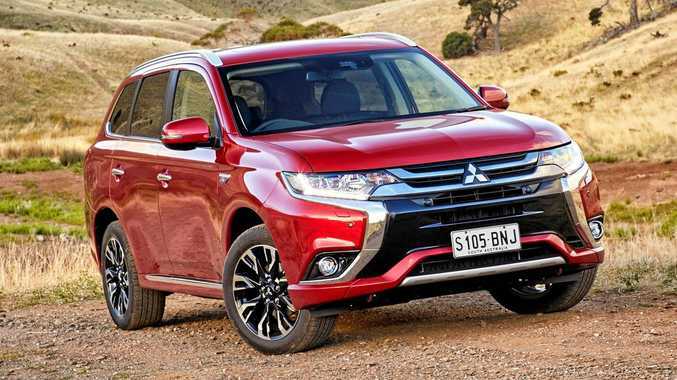 Mitsubishi's Outlander PHEV proves there are good things to come. The plug-in hybrid has been in our driveway for nearly three months and sipped just over two tanks of standard unleaded fuel on its way to covering about 3000km. Able to be charged via a standard household power point in about four hours, it has a range of nearly 50km without the aircon - that reduces to just over 30km with it operating. Yet it's amazing with a young family how many short and sharp trips you can accomplish with the meagre range. School runs, sports training, trips to the park, friends ... it's surprising how much is within range of electric power. There is always back-up at hand, a four-cylinder petrol engine for a collective range of about 500km with both fuel tank and battery pack at capacity. Charging at home and work has seen the Outlander powering its way into our hearts. During a recent hinterland trip of challenging hilly terrain, the SUV managed the 50km round trip using just two litres of petrol with an average battery consumption of 9.3kW/100km (see below). The key was using regenerative braking on the downhill sections. 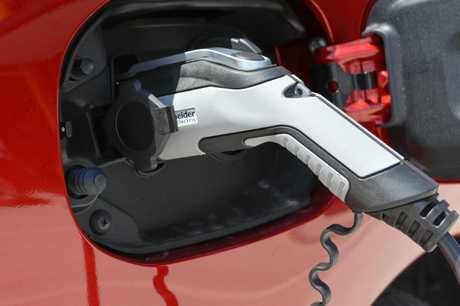 You can use the steering wheel-mounted paddles to brake the car while feeding power back into the battery. Watching the PHEV's power delivery diagram can be compelling. 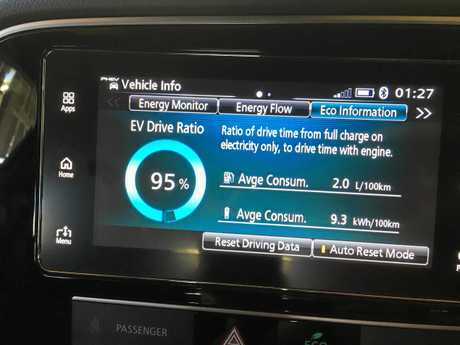 Vehicle energy consumption in the Mitsubishi Outlander PHEV. There has also been a lot of questions from friends - but everyone shakes their head when you mention a range of 50km. They're right. It's not far enough, and the power delivery available from the electric motors is superior to that of the petrol engine, which means you are desperate for battery longevity. 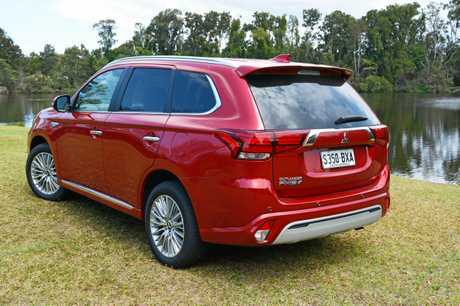 Quiet and with instant torque from the get-go, Mitsubishi's (and the world's) first plug-in hybrid has a lovely turn of speed. It's also convenient. The ability to avoid servos and charge at home is brilliant, but without a fast-charger its regeneration is slow. Yet this model is laying the foundation for what will become an exciting space. But only expect the Outlander PHEV's range to double in the short-term. "Range is something we will continuously increase,” Mitsubishi's global head of product strategy Vincent Cobee said at last month's Triton reveal. Cobee said producing something with an electric range of 300-400km would be cost-prohibitive. Yet additional electric-powered SUV players are coming at a rapid rate. Expect an electric Hyundai Kona to arrive here next year, followed closely by Kia's e-Niro. There are forecasts for this compact pair to start from about $50,000. 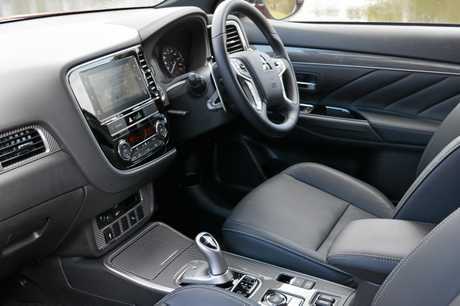 Other complaints: the Outlander does require some muscle to properly close the doors. Often it takes a second attempt with more elbow grease, and the Apple CarPlay integration can take a few minutes to warm up, while the general operation of the touchscreen system can be clunky. Yet the plug-in hybrid quickly appeases the negatives. Able to handle a couple of surfboards, bikes, scooters and luggage, it's the ideal machine for those keen to dip more than a toe into electric waters.